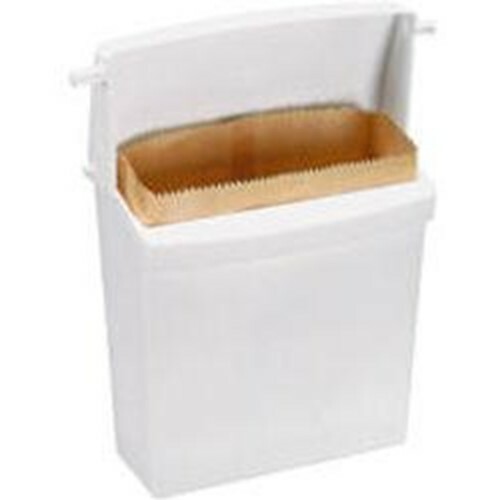 White Sanitary Napkin Receptacle that is space efficient and easy to service. Tight fitting lid helps contain odor. Removable rigid liner is easy to clean and maintain. 5 waxed paper bags included. Uses 6141 waxed bag refills.